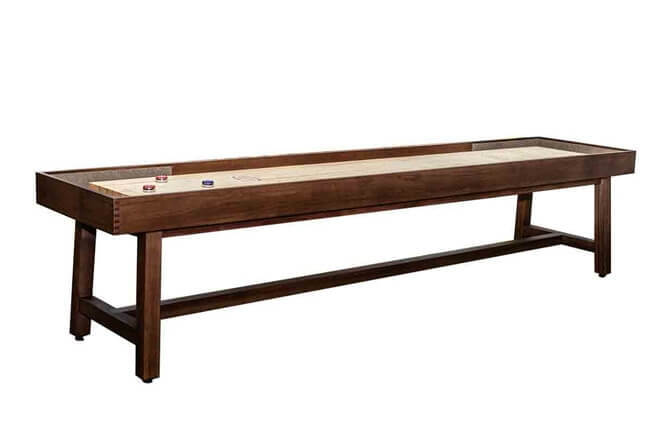 McClure's Oxford Shuffleboard Tables offer both the richness and warmth of mahogany wood and the sleek profile of contemporary style. 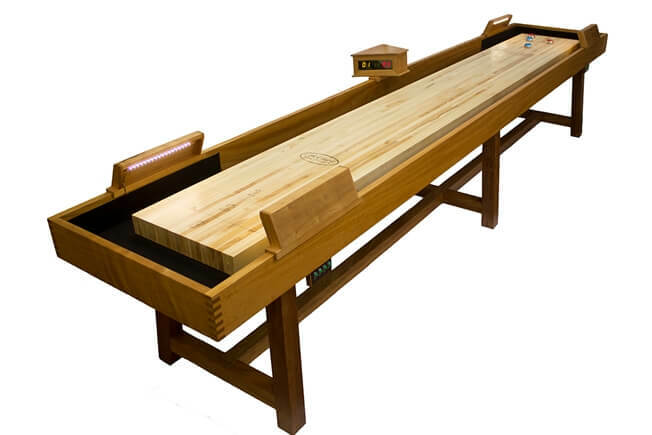 The simplicity of the dovetail corners and clean lines results in a timeless look that allows the Oxford shuffleboard to naturally match most home and game room decors. Each Oxford shuffleboard table is made by hand from start to finish by one of our master craftsmen. The cabinet and legs of the Oxford are crafted using the finest mahogany, which is hand selected by our master craftsmen before each build to ensure the best possible grain consistency. 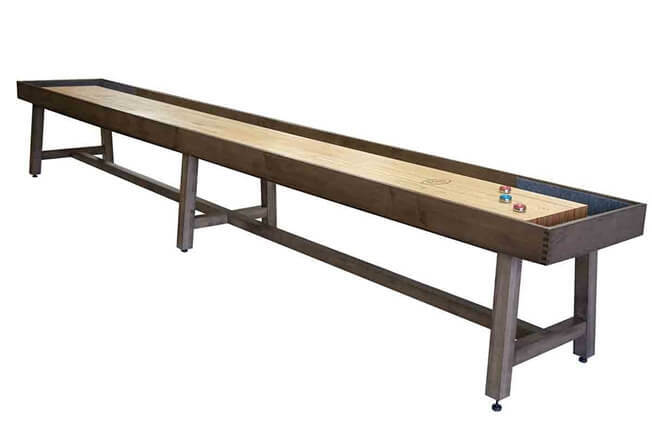 Our Oxford shuffleboard table is available in a variety of finishes. 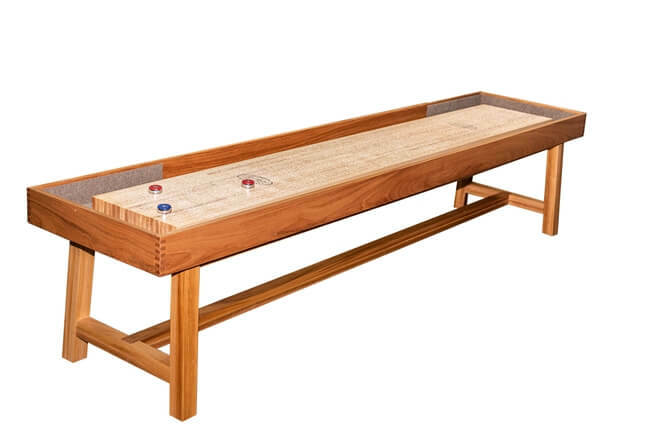 We can also custom finish your new shuffleboard table to complement the specific decor of your home, cabin, or restaurant. Each Oxford also features a 20" wide and 3" thick playing surface that is made from the high-quality North American hard maple. The playing surface is sealed with a specially formulated finish that has a lifetime warranty. 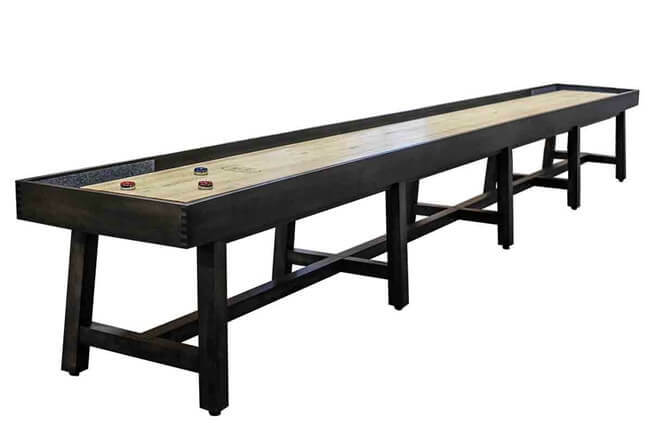 The Oxford Shuffleboard Table is available in 9, 12,14,16,18 20 and 22 foot sizes. Your order comes complete with 8 pucks and 1 can of shuffleboard wax powder. Optional additions include a traditional or electronic scoring unit and lamps in a matching finish. 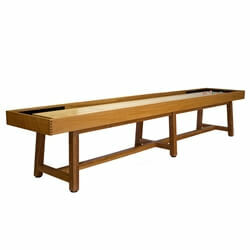 McClure shuffleboards are built with the highest quality materials and old world craftsmanship. Each Oxford table is Made in America at our Grand Rapids, Michigan facility.